By partnering with a local not for profit organisation, residents at Arcare Hope Island on the Gold Coast are experiencing the joys of being out in the open seas as well as enjoying being connected to the local community. 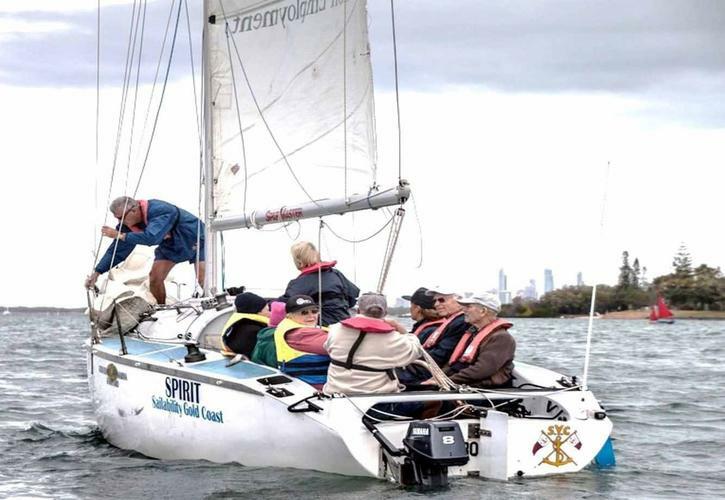 Residents have developed close connections with the local Hope Island community through the partnership with Sailability, a not for profit organisation whose principle aim is to facilitate sailing and boating activities, in all forms, for people with disabilities. This includes older people with disabilities. Sailability says sailing has given added meaning to the words freedom and fun for a person with diminished capabilities be they physical, intellectual or both, and it hopes to give this experience to all persons regardless of their ability. Hope Island residents are taken out in the local bay by experienced sailors either as a group of up to six passengers in a larger sailing boat, or just as a single passenger in a smaller yacht. After around an hours sailing, the group often enjoy morning tea. While several residents used to go sailing a lot, some who participate had never sailed before, but now love been out in the open and enjoying the experience. Some have made lasting friendships with others in the program, bonding over their shared interests and the salty ocean air. One resident was initially hesitant to getting involved due to his physical limitations, however he has embraced Sailability and is loving the freedom of being on the open water. The sailing trips are also very beneficial for those living with dementia and can help with reminiscing for those who had a love of the sea and a strong interest in sailing. The added stimulus of other senses, such as smelling salty air, feeling the wind and physically been in a boat also help. Allison Ferguson, Lifestyle Coordinator at Arcare Hope Island, will be a guest speaker at the 2016 Dementia and Recreation National Conference held at Caulfield Racecourse in Melbourne. She will be speaking about the Sailability project and how her Community Connect program has successfully linked residential aged care communities to the wider community through leisure and lifestyle. The benefits of this program have demonstrated the importance of establishing and maintaining relationships with the community, particularly for those in society who are vulnerable. The conference, running from August 17th – 18th, is aimed at sharing ideas on improving the lives of people with dementia through lifestyle opportunities.